We’ve decided to add a second program headed to Peru for August. 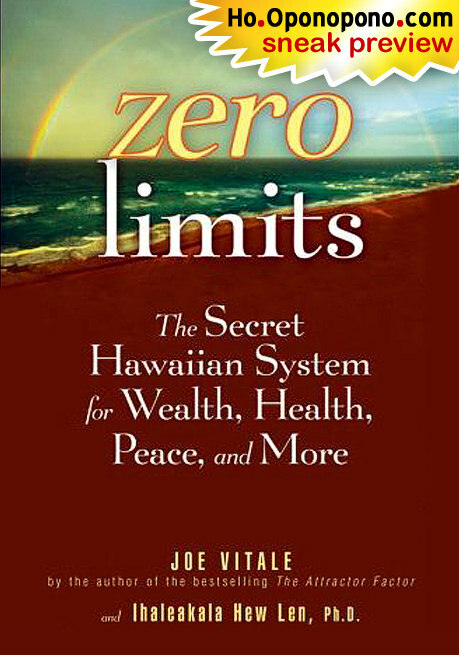 If you’d like to learn more about the program, dates and cost, visit our webpage. The program will focus Cusco, Machu Picchu, the Sacred Valley and Lake Titicaca. 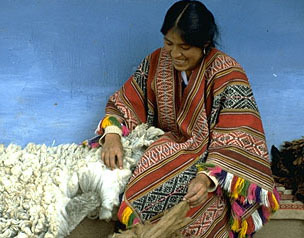 This is our twelfth year leading educational programs to Peru. Before that, R. Richards was guiding high altitude summits. We will also be working more with Jorge Martel in the Cordillera Blanca on the range’s east side. Stay tuned to see images of this region. If you’d like information please contact us. 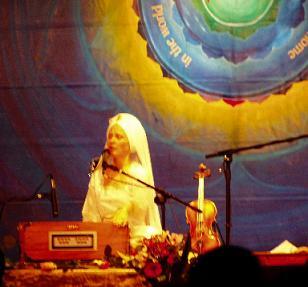 Snatam Kaur will be playing at the Lebanon, NH, USA Opera House on September 1st, 2010 for a evening of meditative music. Kaur is an internationally known recording artist, who’s music is highly soul soothing. 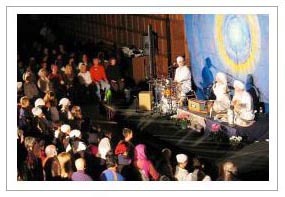 Read more about the upcoming Snatam Kaur/Mountain Spirit Institute Benefit Concert at our webpage on the concert. To listen and learn more about Snatam’s music visit her website. I’d grown up, skiing every spring, on Mt. Washington’s east side – Tuckerman’s, Gulf of Slides, and Great Gulf. Once, I think I took one run, years ago on the west side, but last week Junji Itagaki suggested we head up to his favorite haunt. I don’t often get in ski touring mode when back east, but the west side of Mt. Washington is as close as it gets to a wonderful alpine touring experience on the east coast of the U.S.
We climbed up Munro Gully, then headed to the Lake of the Clouds, then over to the summit of Mt. Washington, for a nice descent down Ammonoosuc Ravine, on thick but great snow. I think we had record-breaking temperatures that day. (See my earlier post on getting kids outside, which was filmed in Ammonoosuc Ravine). Pictured above, Junji Itagaki, Lake of the Clouds and its Hut, Mt. Washington to the right.